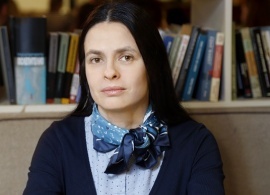 Provost Emilia Zankina has a PhD in International Affairs and a Bachelor’s degree in Political Science and Rhetoric from the University of Pittsburgh. 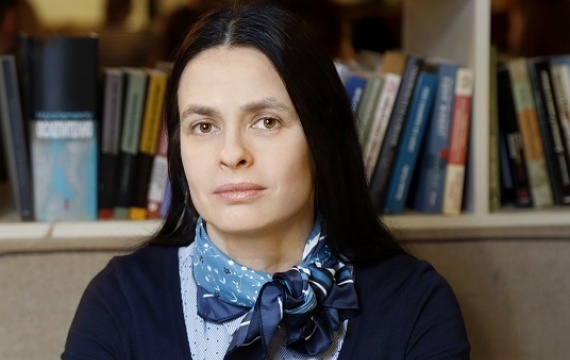 Prior to joining AUBG, she was Associate Director at the Center for Russian and East European Studies at the University of Pittsburgh and Managing Editor for the scientific magazine East European Politics and Societies. 20 professionals recently received their graduate degrees from the Executive Master in Finance, Banking & Real Estate (EMFBRE), a joint venture of the American University in Bulgaria and SDA Bocconi. What are your plans for the EMFBRE program in 2019? Will the program offer classes in other spheres of education? The first cohort of this prestigious program received their diplomas on Dec.2. The American University in Bulgaria is the country's leading higher education institution in Business Administration and SDA Bocconi is among the Top Ten Business Schools in the World. This is the first joint Masters in Eastern Europe for SDA Bocconi. Paving the way for new trends and initiatives both in Bulgaria and the region is part of our mission. We will further develop the program and in 2019 we expect to launch the second cohort. The program prepares senior management executives in areas that are extremely important for the development of Bulgaria and the region and thus fully corresponds to our mission. In addition, AUBG's Executive Master in Business Administration continues successfully in Sofia. The EMBA program gathers together talented young managers and entrepreneurs who learn from international professors that share their global knowledge and skills while accounting for the specifics of our region. AUBG’s EMBA program has the mission to develop the leaders of today and tomorrow. In 2018, the program celebrated its 15th Anniversary and in these 15 years we have educated over 350 professionals that are inspired to bring positive change. In this way, we transformed Bulgaria’s business environment. The American University in Bulgaria often offers public lectures and discussions with prominent leaders, innovators and visionaries. Could you share the name of a lecturer who is going to give a talk next year? It is AUBG’s mission to leave a trace - to create a community that is based on shared values for a more integrated and free world. And in order to achieve this, it is very important to meet with visionaries and people who are changing the world. We are striving to put on the agenda topics that are of highest priority for the society and the academic world, ones that are important for our future, not just in Bulgaria but worldwide. In 2019 we will have the honor to host the lecture of Avishek Ray, a young specialist in cultural studies from India, who will speak about the travelling of ideas. Dr. Marina Stefanova, “Sustainable Development” Director of the UN Global Compact Network Bulgaria, will present her book on corporate social sustainability and responsibility- an extremely important topic in today’s business world. At the end of this year the university hosted lectures on the "Careers of Tomorrow". What would these careers be in, say, the next 10 years? The AUBG education follows the American liberal arts model – it encourages the understanding of the students that the combination between one’s professional skills and knowledge and one’s personality, values, character and ideas is growing increasingly important. This approach has proven to achieve optimal results because it offers students the opportunity to choose their major at the end of their second year of studies, as well the opportunity to have two majors and two minors and even a self-designed major. This knowledge in a variety of fields combined with in-depth knowledge in a particular area is key to developing critical thinking, creative approach to problem solving, flexibility and adaptability. These are some of the qualities that will become more and more valuable as they enable us to be successful in different circumstances. We are adding high digital competence and social skills to the strictly professional knowledge and skills. In addition to a world-class academic process, we provide students with the opportunity to live and interact in a multicultural environment on an inspiring campus. This experience will be valuable to them regardless of the particular professional opportunities that will arise in the future. We develop practical people, people with flexible thinking, and people who want to be part of the positive change in their community and the world. The future belongs to them.